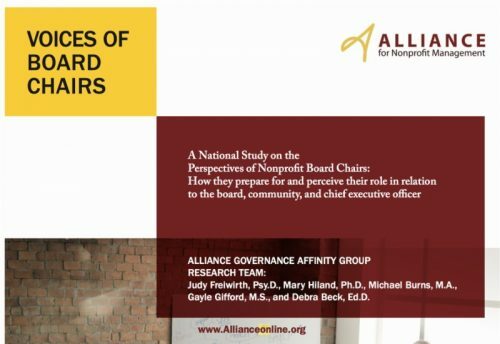 I’m excited to announce that the Alliance for Nonprofit Management study on board chairs is now published. You can find the study here. Other research tells us that boards have come to count on their chairs for ensuring their good functioning. We wanted to follow that up by asking chairs how they prepared for their position and how they understood their roles. Yet most report they are focusing on the top priority areas for their boards and have a good relationship with their CEOs. I’ll have more to share on the results later this week. P.S. Did I mention that I was part of the research team?